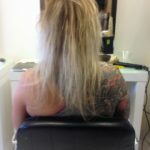 If you want to make the most of your hair extensions in Melbourne, you need to know how to take care of them properly. From washing then thoroughly and brushing them gently through to styling then carefully and using products specially formulated for hair extensions, there are numerous things you ca.. Hair extensions in Melbourne require care and maintenance to ensure they look their best and enhance your facial features. When hair extensions become damaged, many people think the quality of the extensions themselves are to blame, but often, they overlook the extent to which their daily habits hav.. 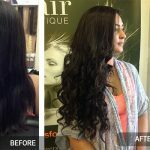 Hair extensions in Melbourne are highly popular among women who are looking to change the look of their hair without damaging it. Extensions can be easily placed and removed by the user, giving unparalleled flexibility and versatility to try a wide range of colours and styles. This blog post offers ..
Are you looking to add length or thickness that your natural hair might be lacking? 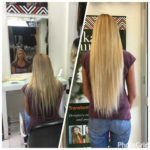 There are numerous reasons why hair extensions are a top choice for people right across Melbourne. This blog post contains useful information about the 4 top reasons why hair extensions are worth getting. Increase t..